The Revolutionary War period farmstead, The Frazee House, is a Union County landmark made famous by its sheer survival for more than 230 years and by the tale of Elizabeth "Aunt Betty" Frazee's legendary confrontation with a British general during the battle of Short Hills in 1777. The house was constructed by Gershom Frazee, a prolific and well-documented 18th-century carpenter and joiner. The house is a typical and rare example of eighteenth-century domestic vernacular architecture. 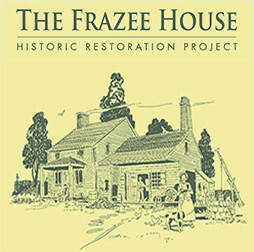 The Frazee House has received official recognition on the National Register of Historic Places and the New Jersey Register of Historic Places. In 2012 it made PreservationNJ.org's list of top ten endangered historic places in New Jersey. It's actual address is 1451 Raritan Road, near Terrill Road, Scotch Plains, NJ. The Rotary took on this challenge in 2004. 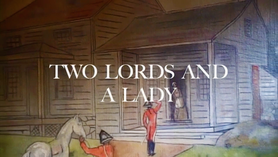 The club hopes to turn the house and adjacent one acre into a resource for the community, further distinguishing New Jersey as a key site in the American Revolutionary War. Interested parties are encouraged to contact the Rotary with questions, inquiries for information or to make a donation towards the restoration. The Rotary is an international organization of diverse professional leaders working to address various community and international service needs.